Have you subscribed to the DFB YouTube Channel? We’ve got great content going up twice a week showcasing our adventures in Disney World and Disneyland! This week, we’re sharing our latest video — check it out — Things YOU’LL Never Do Again at Disney World — and don’t forget to subscribe here. 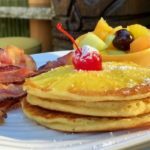 Deal of the Week: The DFB Guide to the 2018 Epcot Food and Wine Festival e-Book FINAL EDITION! It’s HERE! We are SO excited to share with you the DFB Guide to the 2018 Epcot Food and Wine Festival! To celebrate the launch of the DFB Guide to the 2018 Epcot Food and Wine Festival use promo code CHEFS and get 20% off the price! 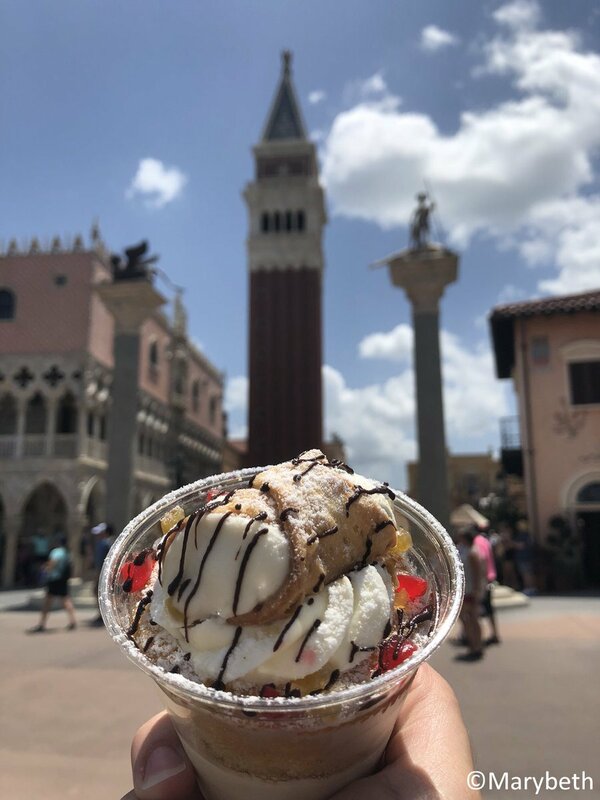 The Gelato Kiosk in Epcot’s Italy Pavilion is home to some yummy eats, including a Cannoli Cupcake! 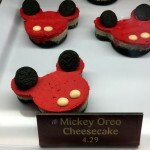 DFB reader Marybeth shared this pic with us as she was “eating her way through Epcot.” That’s the best way to do it! 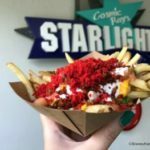 An under-the-radar treat in Epcot! 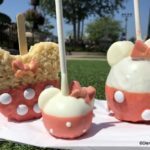 Disney character Caramel Apples are one of those iconic, must-have treats when you’re at the Disney Parks. 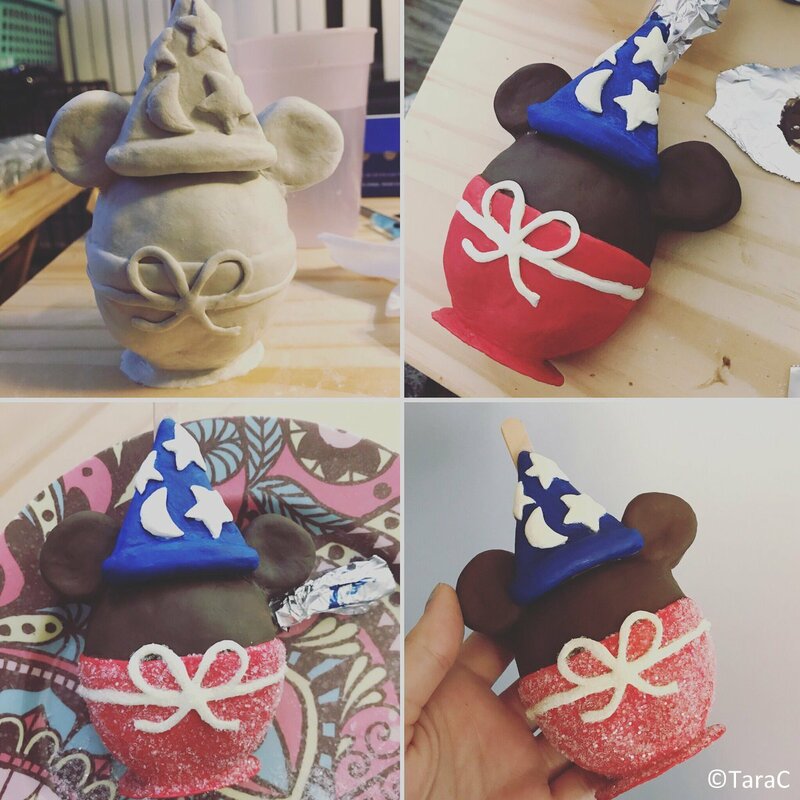 And recently DFB reader Tara shared a super cool Sorcerer Mickey Apple she was sculpting and painting for her sister. AMAZING! 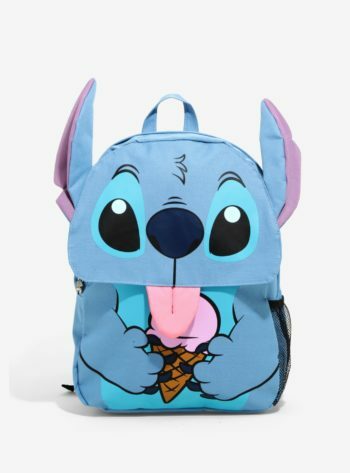 Mickey Fix found this super-cute Stitch Ice Cream Backpack! 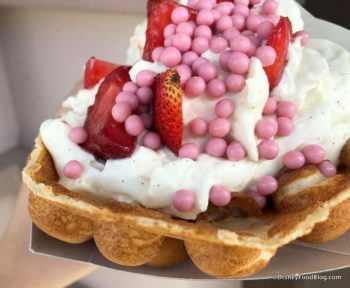 WDW for Grownups shared five things you’ve gotta try at the 2018 Epcot Food and Wine Festival. 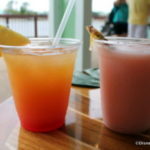 Disney Parks Blog shared a recipe for Raspberry Macarons from the Disney Cruise Line! Disney Family shared a recipe for Winnie the Pooh Lemon Bars.